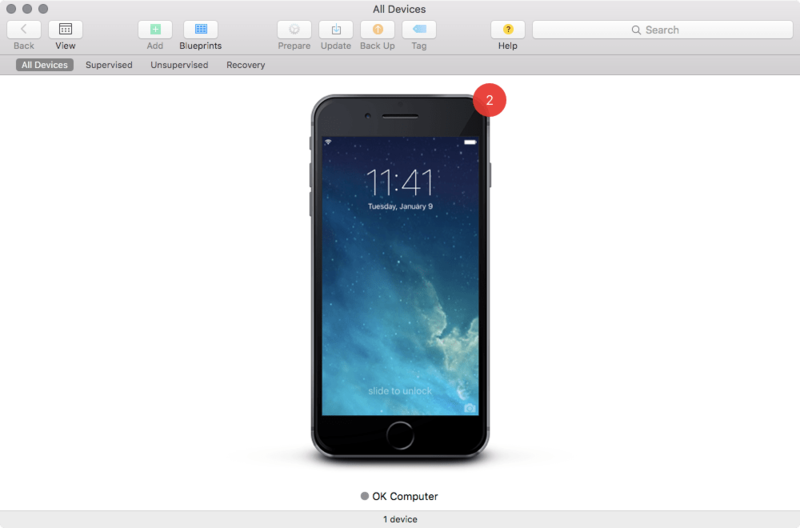 Apple Configurator has always been able to upgrade devices. But it can also now upgrade apps that are on devices. To run an upgrade, first open Apple Configurator 2. 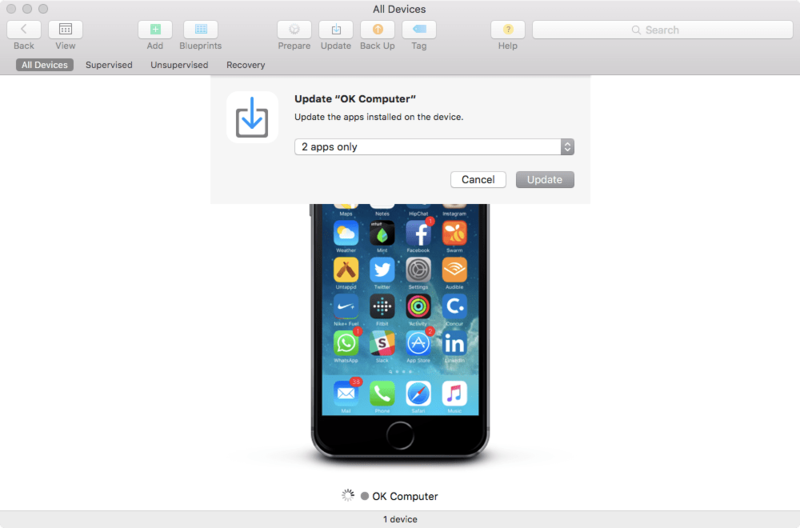 Once open, right-click on a device and click on the Update… option. 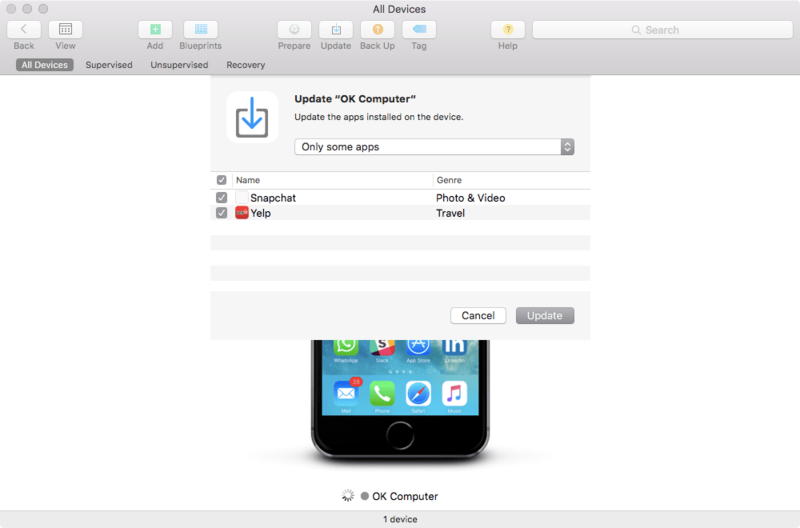 You can update all assets on the device concurrently, using the default option. Here, we’re going to select to update only the items we need to in the drop-down menu. Select Only Some Apps and then you’ll see a list of each app that needs an upgrade on the device. Check the box for the apps to be updated and then click on the Update button. Apps are updated using an iTunes account. 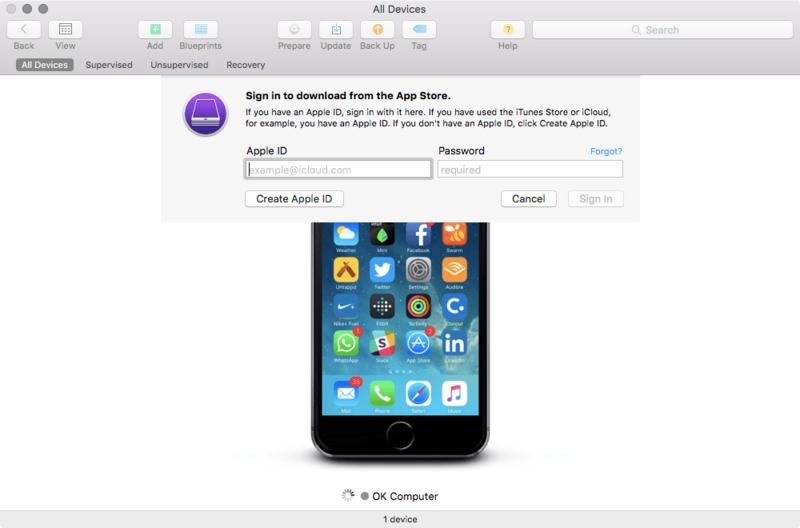 Here, you will need to authenticate using an account on the app store that owns these apps. 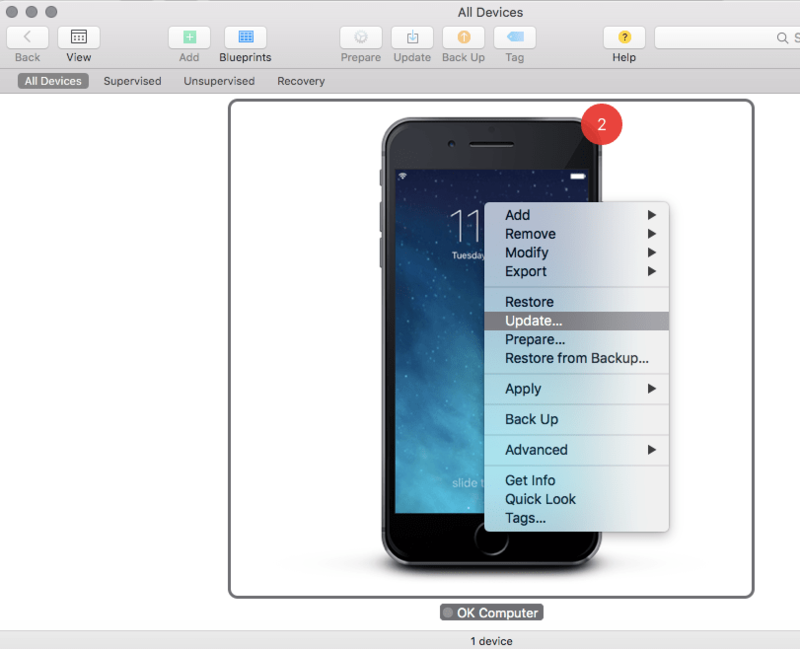 Once entered, Apple Configurator will cache the apps and install them on a device or devices. The apps are only downloaded once, and then applied to many devices. These function even if the app store is disabled on devices.